An Electoral Code can be a tool to provide a solid regulatory framework for all types of elections and ensure protection of voting rights of Ukrainian citizens. 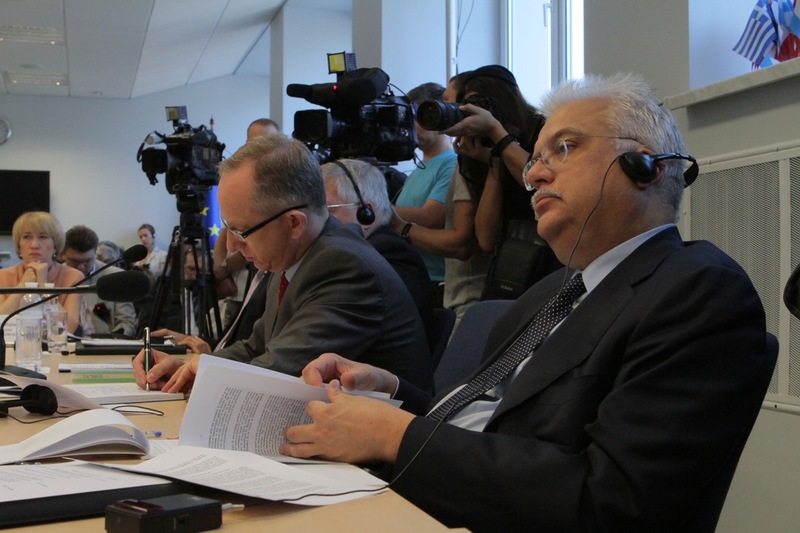 This opinion was expressed by representatives of the EU, US, Venice Commission and OSCE Office for Democratic Institutions and Human Rights (ODIHR) at a round table hosted by the EU Delegation in Kyiv on June 20. They also stressed that the reform of electoral legislation is one of the benchmarks set by the EU on the way to the signature of the EU-Ukraine Association Agreement. Peter Paczolay, member of the Venice Commission and the President of the Constitutional Court of Hungary, reminded that last week the Venice Commission adopted two opinions: one on the Law on national referendum of Ukraine, and the other, jointly with the OSCE/ODIHR, on the country’s electoral laws. He reminded that the Venice Commission criticised the referendum law’s provision on constitutional amendment by popular initiative, which can bypass the role of the Verkhovna Rada, adding that this novelty can “undermine stability and legitimacy of the constitutional process in Ukraine”. Ukraine’s electoral legislation, despite introducing positive changes, still has important shortcomings, the expert said, pointing at the need to adopt a uniform electoral code, and reform the electoral system itself, specifically the current mixed system with single-mandate and proportional elements. According to Jessie Pilgrim, ODIHR legal expert, Ukraine’s electoral legislation has improved over the past several years, but much remains to be done. Although the new legislative amendments improve considerably the “rules of the game” in the field for election actors, they still create barriers with regard to who is able get onto this field. The Joint Opinion of the Venice Commission and the Office for Democratic Institutions and Human Rights notes two significant limitations on the right to be elected: 1) 5-year residency requirement and 2) absolute prohibition of criminal convictions. Those limitations are “not acceptable,” Pilgrim says. He also stressed the need to ensure the equal representation of women in Ukrainian elected bodies, adding that the adoption of a single Electoral Code can help to simplify the overly complex election field. 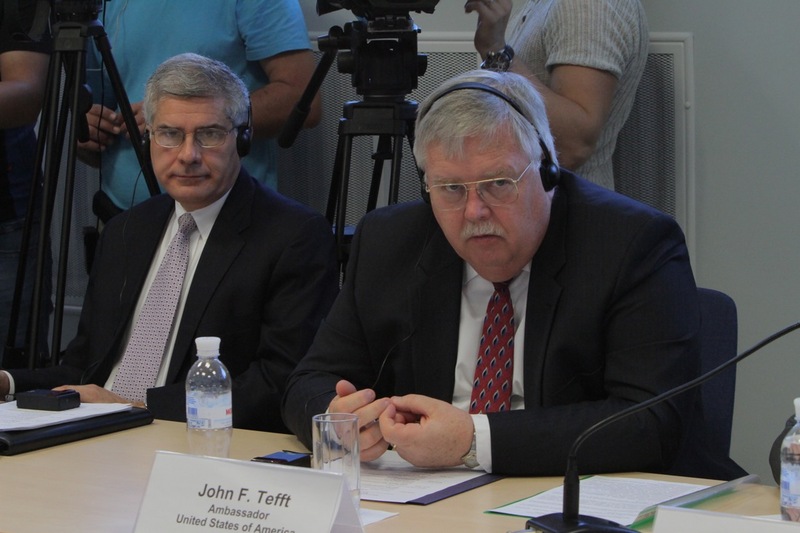 The roundtable was also attended by Ukrainian officials and politicians. Olena Lukash, Minister of Ukraine’s Cabinet of Ministers, Inna Yemelianova, Ukraine’s first deputy justice minister, Andriy Olefirov, Ukraine’s deputy foreign minister, Zhanna Usenko-Chorna, deputy head of Central Election Commission, Vitaliy Klychko, the leader of the UDAR political party, Arseniy Yatseniuk, head of the political council of Batkivshchyna party , David Zhvania, MP from the Party of the Regions, and Yuriy Noyevyi, Head of analytical department of All-Ukrainian Movement “Svoboda”, exchanged their opinions about the major issues of Ukraine’s election legislation. Civil society experts Ihor Koliushko (Centre for Legal and Political Reforms) and Olga Ayvazovska (OPORA) also provided their assessments and criticisms of the new amendments to Ukrainian electoral legislation and referendum law. Roundtable on electoral and referendum law, EU Delegation, June 20th, Kyiv, a set on Flickr.